Why is EYE-Q the Best Value for Contact Lenses? With exclusive manufacturer’s rebates and an additional discount of $20 when you order a one-year supply of contacts, EYE-Q is able to offer pricing as low as the major mail-order and on-line sources. Rebate redemption times vary by manufacturer; please refer to the instructions included in your order. Free exchange of unopened and unmarked boxes if your prescription changes within six months. Order online 24-hours a day! Online orders are shipped directly to your home and 2-3 day delivery is free when you purchase a one-year supply. 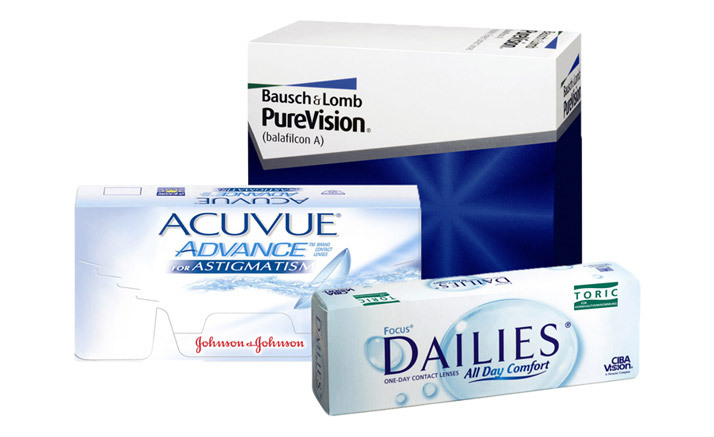 In many cases, your yearly supply of contact lenses may be in stock in the office and available at time of purchase. Backup glasses and non-prescription sunglasses given at a discount for contact lens wearers who purchase contact lenses at our office. Contact lenses can be purchased through our online ordering system. New users will be asked to create an account and choose their password.